The largest all-motorcycle drag race in the world is about to go to the next level! 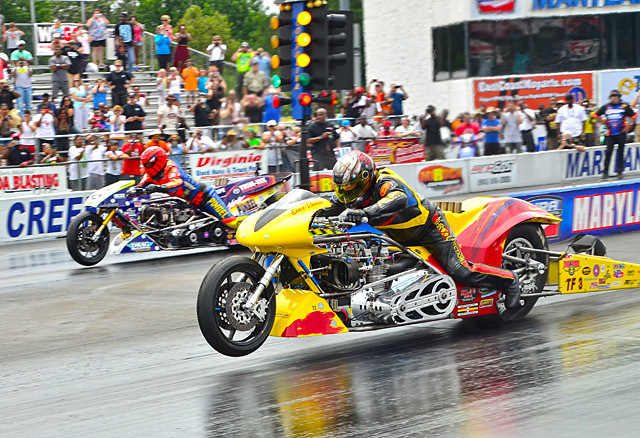 The International Drag Bike League’s (IDBL) popular WPGC Bike Fest from Maryland International Raceway will receive several hours of live-streaming coverage on ESPN 3 on elimination Sunday, July 30th. This historic, groundbreaking announcement marks the first time motorcycle drag racing will receive this type of illustrious, world-wide, network coverage. 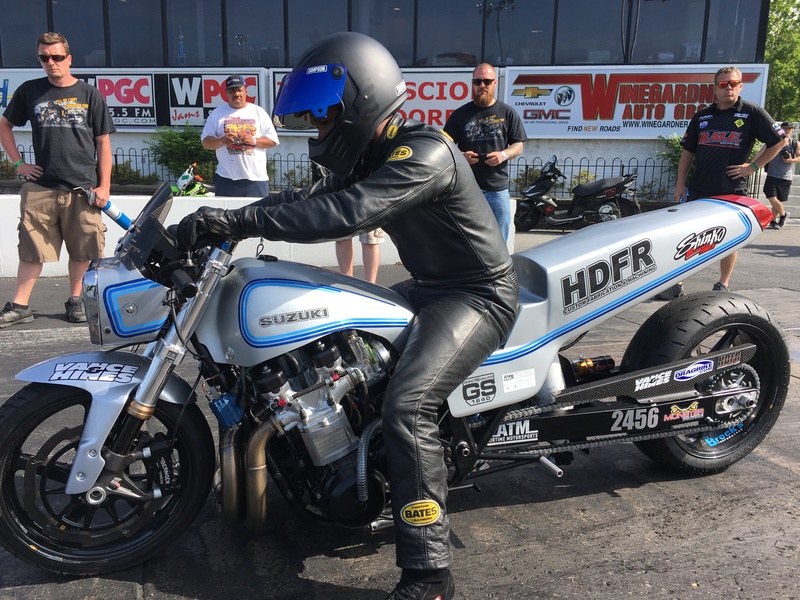 Richard Gadson aboard one of the worlds quickest street bikes. 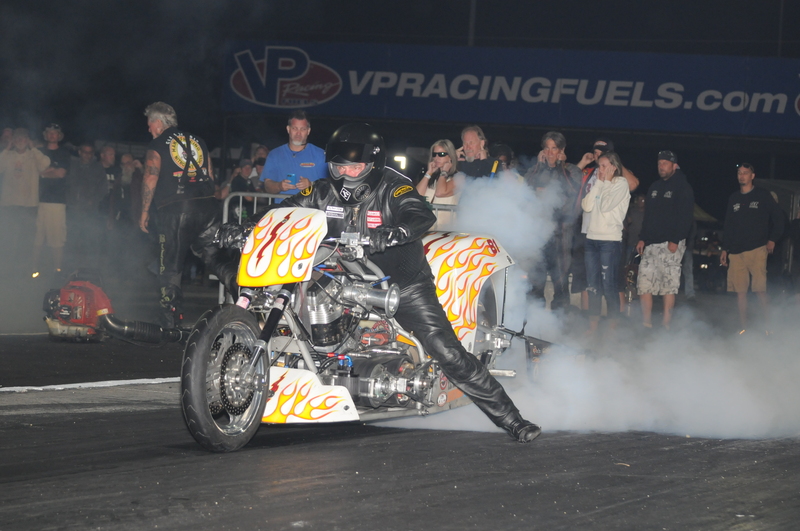 The WPGC Bike Fest will highlight 240-mph, five-second Top Fuel Motorcycles, ground-pounding, thundering Nitro Harleys, 200 mph, six-second Pro Street bikes, nitrous-oxide-powered Pro Mods, the return of factory stock 600 Supersport small-bore warriors and a whole lot more. More than a dozen classes of competition are expected to see a total of more than 700 entries, ranging from sportsman racers to world-record-holding professionals. 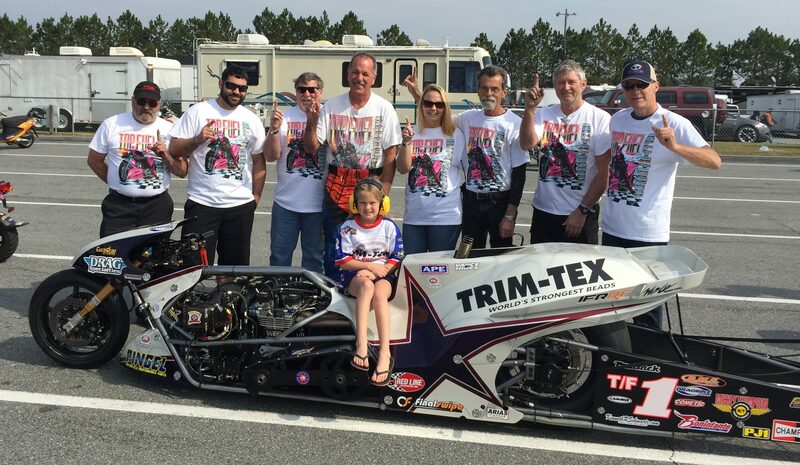 Legendary racers Larry “Spiderman”McBride and Dave Vantine made history at this event in 2014 by recording the sport’s first and only side-by-side five-second run. The duo, among others, is poised for another attempt at glory, only this time on ESPN. A limited number of advertising opportunities will also be available for the broadcast. Anyone interested should contact Jkorpela@RaceIDBL.com. 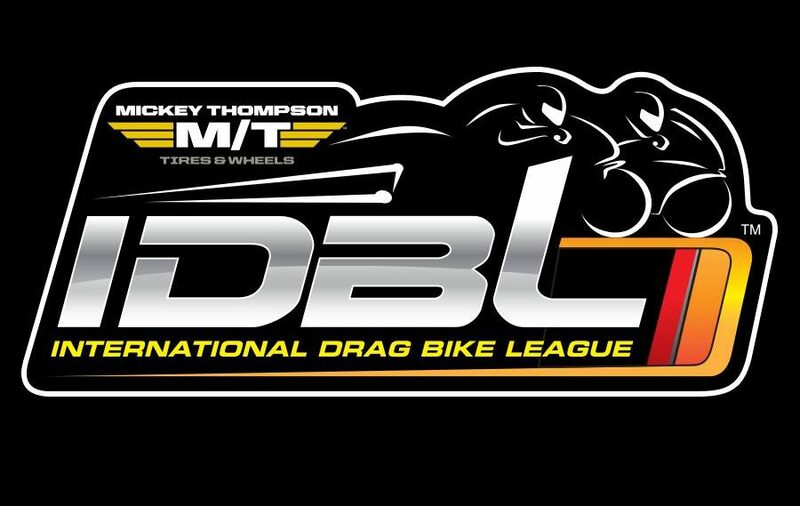 To accommodate the additional racers expected to participate in the event, IDBL is making a schedule change on Sunday. A full round of ET and sportsman eliminations will start at 9AM Sunday morning. Time trails and testing will be available Thursday – Saturday. Also any racer who suffers a first round defeat in an ET or sportsman class will be welcome to buy back into the Pro ET or Street ET re-entry round. The carnival-like Bike Fest will also feature many additional activities and “lifestyle” events to keep most anyone entertained. On Sunday there will be a sound show on stage by WPGC, a bikini contest and a custom motorcycle show. 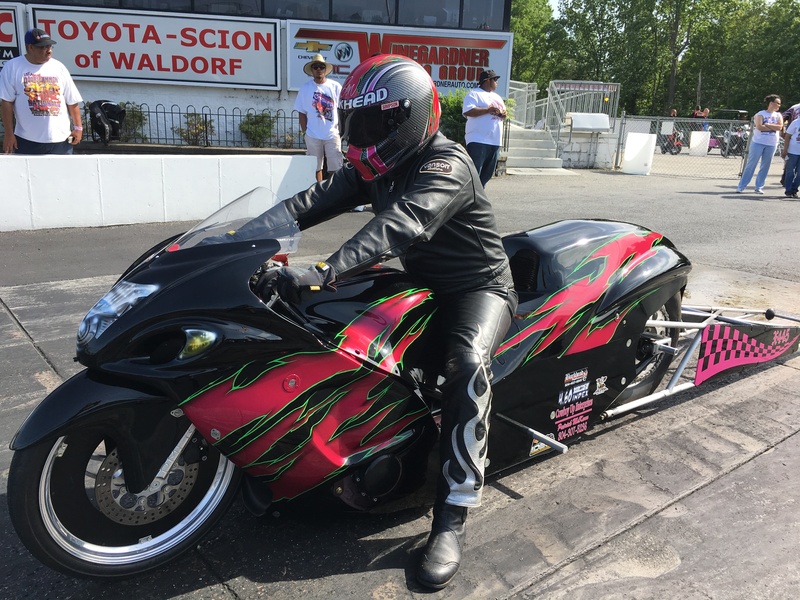 Throughout the weekend Bikers against Breast Cancer will be raising funds and there will be a special all-female “Paint the Quarter Pink” race. Great food and beverages, including a variety of ice cream flavors, will be available all weekend. Team Larry McBride and others looking to make history on ESPN. Classes of racing competition include; APE Top Fuel, Pingel Nitro Harley, McKinney Motorsports – Grothus Dragbikes Pro Mod, Orient Express Pro Street, DME Real Street, Vance & Hines 4.60, FBR Shop 5.60, World Wide Bearings Crazy 8s, APE Top Sportsman, Shinko Pro ET, Lady Street ET, Paint the 1/4 Pink and Grudge. Situated near the Chesapeake Bay, MDIR is about an hour south of Washington D.C. and is surrounded by many wonderful amenities for dining, lodging, shopping or vacationing.